Marjorie Neely (May 3, 1925 - February 24, 2016) was laid to rest on Thursday March 3rd. 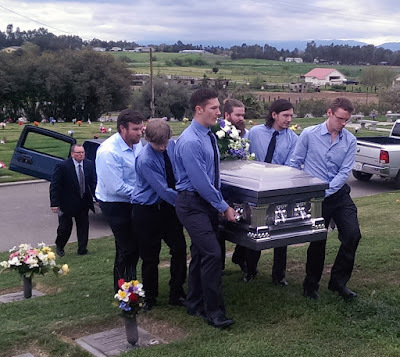 Her grandsons, Roderick McLeod, David Neely, Corin and Jason Fator, and her great grandsons Calvin Jackson and Tristen Coulter lent to the bar and bore her casket to the grave side. 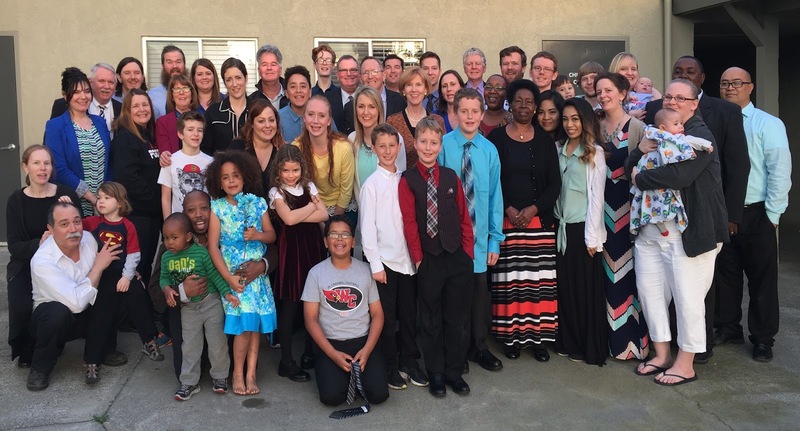 The small private service at the Monument Hill Memorial Park in Woodland, California, was attended by nearly fifty family members, and her legacy of caring prayer-filled love will be long remembered and sorely missed. I reckon you got it from Marje. I’m convinced that it was our Marje. They found that refuge with Marje. Being mindful as Marje used to do.